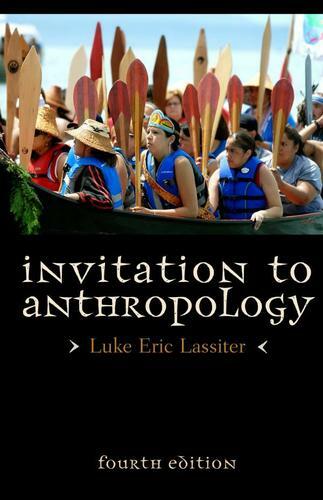 In this concise introduction to cultural anthropology, now in its 4th edition, Lassiter takes a fresh and accessible approach to stimulating student interest in the human experience. He uses timely and engaging examples to showcase the ongoing relevance of anthropology today. He also explores how the anthropological perspective can be applied to real-world problems on the local, regional, and global scale.The 4th edition features updates and clarifications throughout the text, including expanded discussion of evolution, language, fieldwork, gender identities, and belief systems. New “Anthropology Here and Now” sidebars encourage readers to delve deeper into particular subjects and to connect with current and ongoing conversations among working anthropologists. Taken as a whole, the book serves as an ideal text for introductory undergraduate courses.